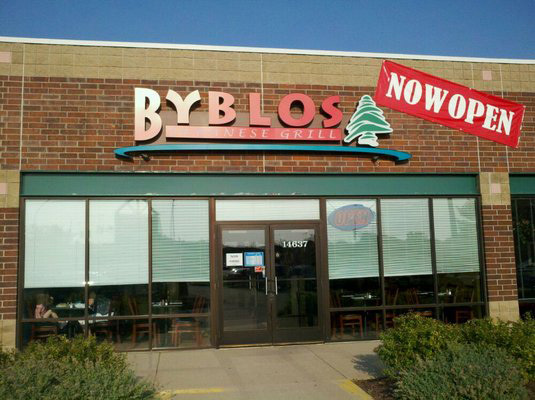 At BYBLOS Lebanese Grill you can taste the freshness and experience the tradition of authentic Lebanese food without breaking the bank. Come enjoy our freshly made food, check out our shawarma, falafel, kibbie, gyro or kafta sandwiches, or dive into our hummus and baba ghanooj appetizers. Be sure to keep room for our homemade balkava and cheese cake, made fresh daily.